Be sure to check out GLBT Omni Media Group's Interview with Buffy Drake, League Secretary. Early in January of each year Bev Smith, Tammy Lessard, Buffy Drake, Pam Davis and a few of their friends get together and start making plans for the upcoming months. They've gathered to discuss the upcoming women's softball season in Hampton Roads and how to they're going to make it happen. 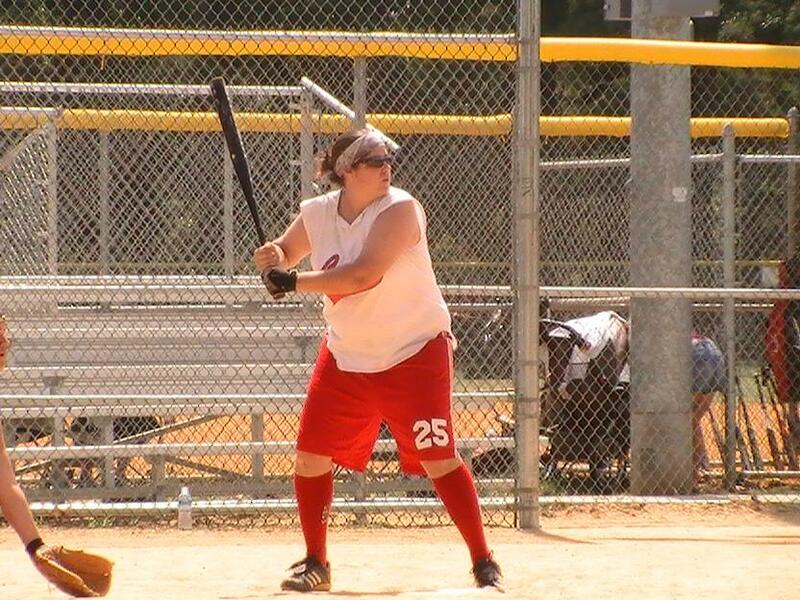 From its humble beginning in 1982 as an affiliate of MAASA, the men's softball association, the Women's United Softball Association of Hampton Roads (WUSA) is now one of the most popular sporting organizations for the women of Tidewater. 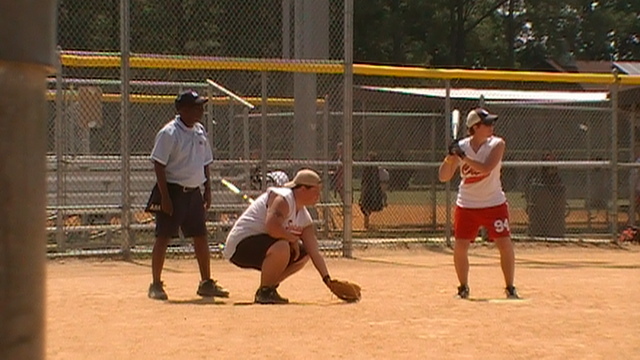 WUSA was established in 1982 for the people of the Hampton Roads and Richmond areas to play softball in a safe, friendly environment. The league was established thanks to Smitty (Coach of Spontaneous Combustion and current WUSA Commissioner) and Deb (Coach of Jokers and former WUSA Commissioner) to provide a place to go for people with alternative lifestyles. 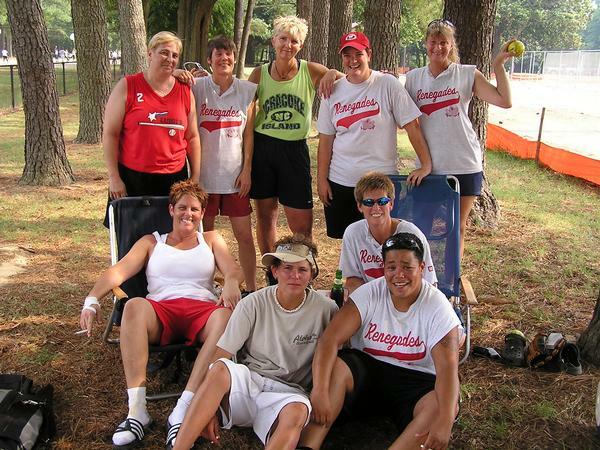 Since its inception, the league has strived to provide a fun, safe and friendly atmosphere for both men and women whether gay, transgendered or bisexual! 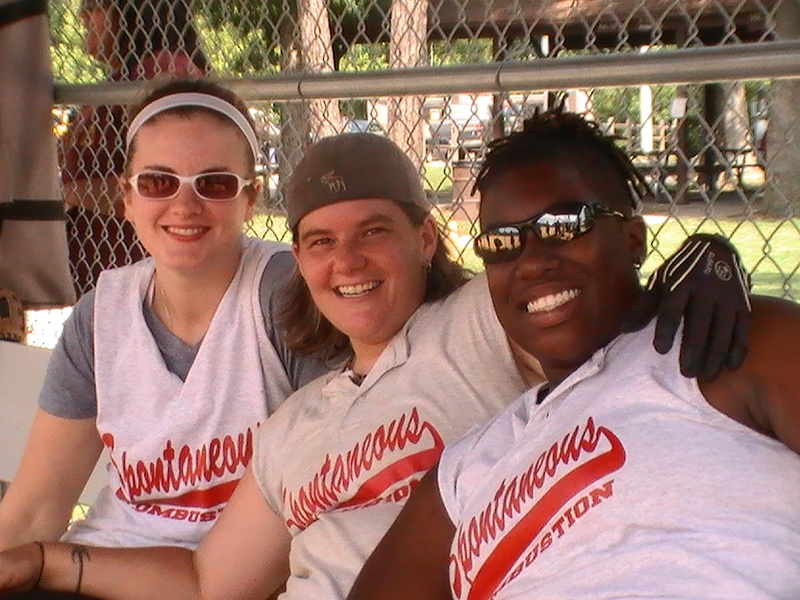 It became a place for everyone to come together as a community on a Sunday and cook out, enjoy each other and play softball. To promote unity in the LGBT community. 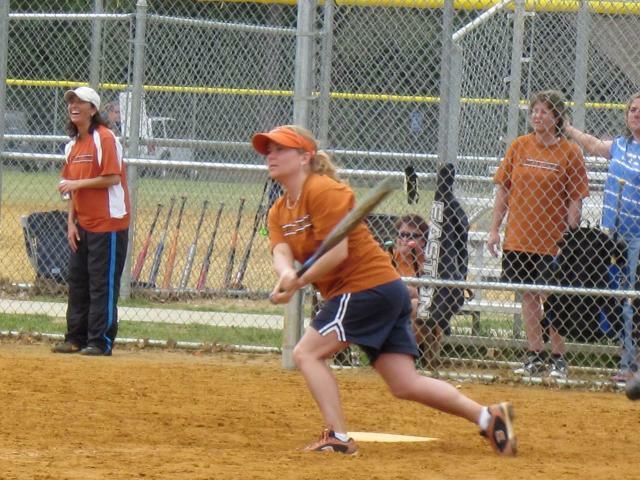 Growing in strength and polularity, Tidewater WUSA has 8 teams for the 2010 season. They are: 3-BOC, ANYTIME FITNESS, CREW, JOKERS, LAGERHEADS, PUSH PLAY, RENEGADES, SPONTANEOUS COMBUSTION. Hershee Bar, located in Norfolk VA, is the league’s patron saint. Annette and Billy, the owners, have supported the league since its inception. 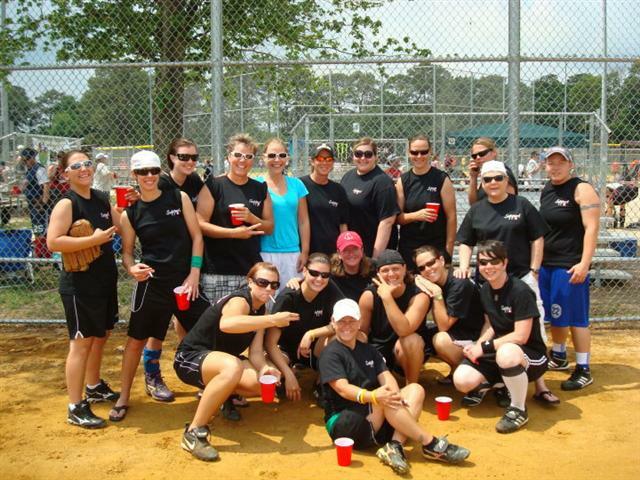 They provide a place to go after the games, offer free buffets to the players, supply discount drinks, provide an opportunity for socialization, open up their bar for league fundraisers, provide sponsorship funds and ensure that the women of Hampton Roads have a successful softball season. To become a part of the league, provide sponsorship, or get information about their schedule and events contact them here. 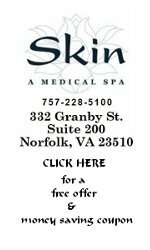 Their website is www.norfolkwusa.com. Better yet, just pack up the kids and the dogs and come out and watch a game! Games are played every Sunday (except holidays), 9a – 12p at Northside Park in Norfolk. Special Thanks to Bev Smith, Pam Davis, Buffy Drake and the rest of the ladies of Norfolk WUSA for photographs and contributions to this article.